This recipe is yummy even if you don't like the taste of liver. Get creative by adding these delicious nutritious nuggets to soups, stews and a variety of sauces. 1Combine the milk/water and oatmeal in a small bowl, set aside while preparing the rest of the meatball mixture. 2Add the garlic, onion and liver to a food processor and process the mixture until smooth. 7Mix, but NOT too thoroughly - you want the meatballs to have some texture. 9Roasting in the oven is simplest. Preheat oven to 400F degrees. Arrange meatballs spaced slightly apart on a baking sheet. Bake for 25 or until brown – turning once half way through cooking. (Use parchment paper for easy clean up). 10Serve immediately or they keep well in the refrigerator for 24 hours. Flash freeze on a pan in the freezer for 24 hours then place in a glass container or freezer bag for up to one month. 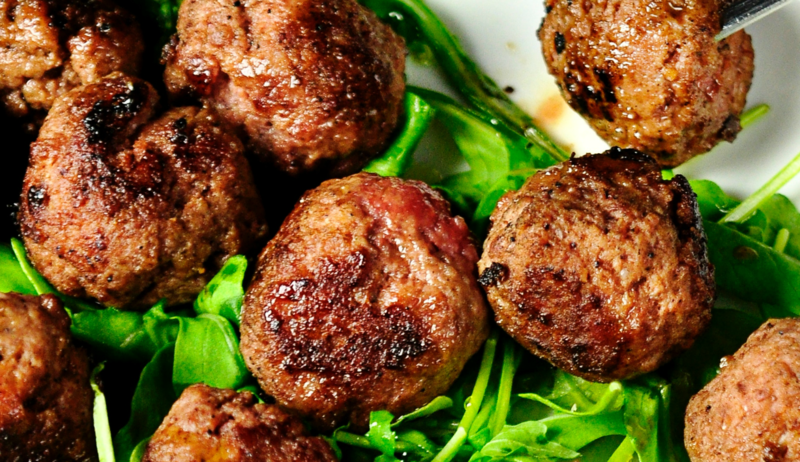 11Frozen meatballs can be added to a sauce and do not need to defrost beforehand.